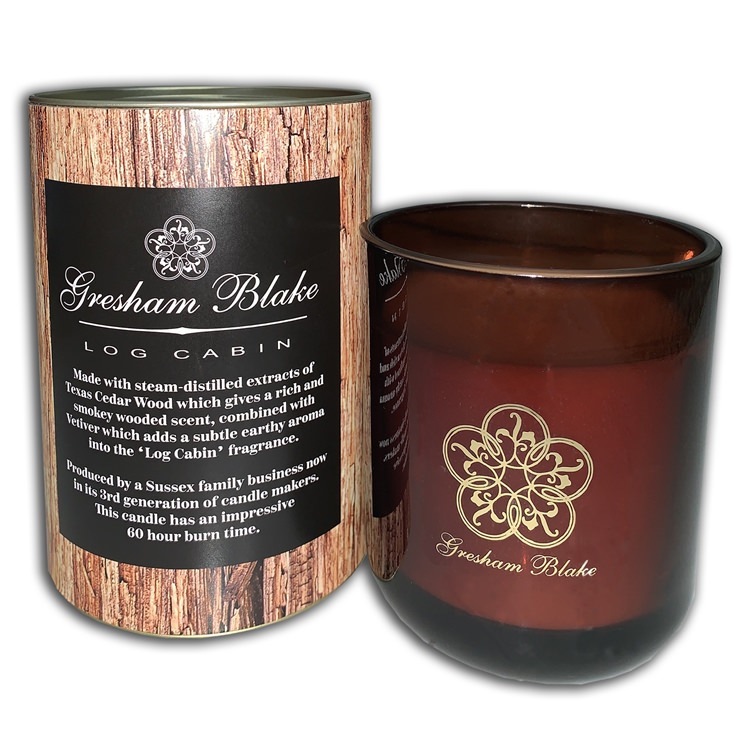 Back by popular demand and with a new scent is the Gresham Blake candle! We have teamed up with a local, family run Sussex business, now in its thrid generation, to create this exclusive Gresham Blake candle. This distinctive, 'Log Cabin' candle, made with steam-distilled extracts of Texas Cedarwood which gives a rich and smokey woodey scent, along with Vetiver which adds a subtle earthy aroma into the mix. These candles sit in a branded Gresham Blake glass base.